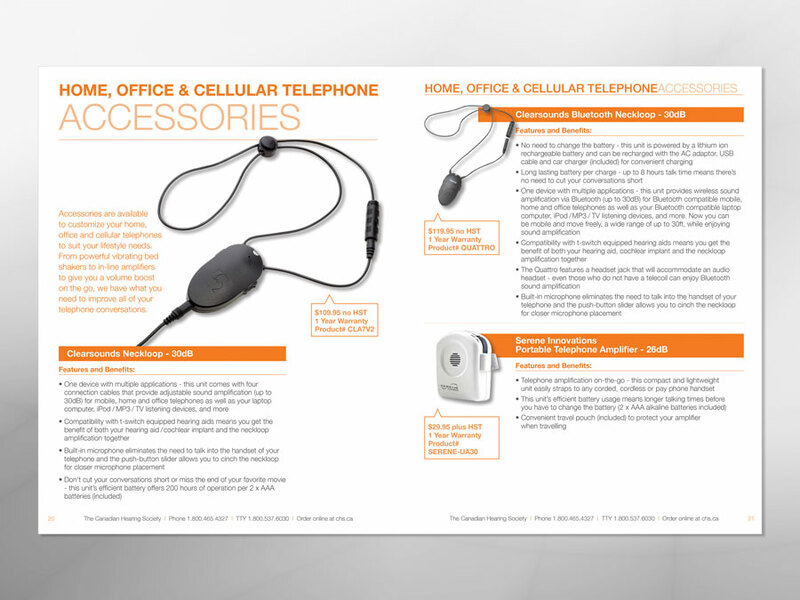 catalogue for use in all their offices for clients to order communication devices. 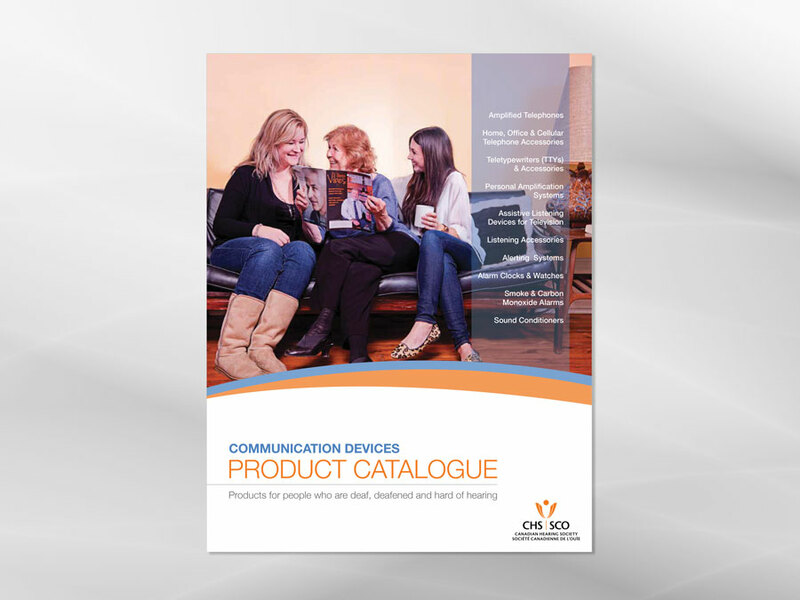 This catalogue would have various products for people who are dear, deafened, and hard of hearing. With an expanding population of Canadians with problems about their hearing, CHS is an important resource for getting help. The previous design was lacking organization and had a very outdated feel. 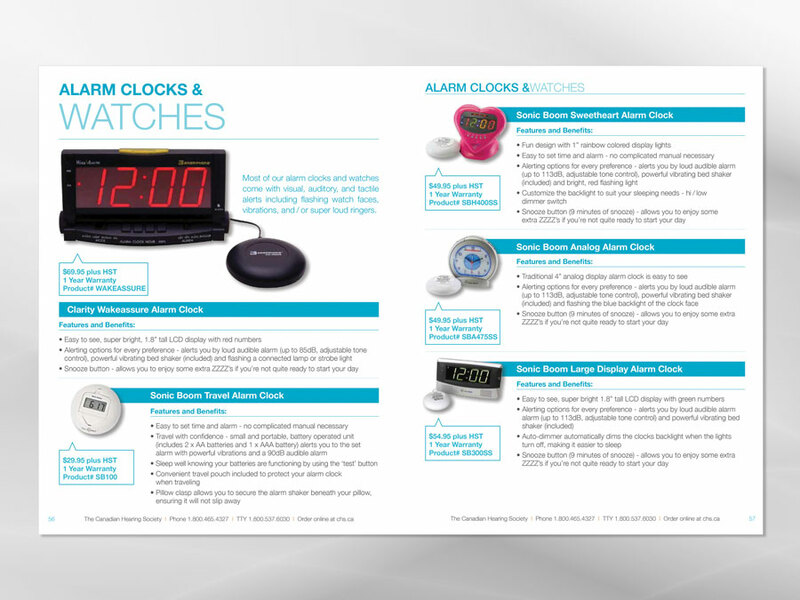 The result for the client was a compact, modern design that they would be proud to show devices to existing and new clients. This piece is more than a tool for the CHS, it is a lifeline for people to get the necessary help and information in a visual format.